When I was in college in 1984, I discovered the existence of an incredible resource book, Who's Who in America. Included in that book were contact addresses for thousands of noteworthy Americans, including a number of celebrities. Being 20, I decided to write to some of my favorite celebrities with the hope of getting a signed photo in return. I was naive---I didn't even include a SASE for the photos. But I also didn't flat out ask for a photo, either. I just told each of them how much I enjoyed their work, and I asked a question or two. I wrote to probably a dozen people, and never heard back from most of them. However, four of them did write back, and I treasure those responses. Some of the ones who didn't reply included Elsa Lanchester (I found out later that she was seriously ill at that time) and Darren McGavin. Clicking on any of the images below will display a larger version of that image. The first reply I received came from Berke Breathed, the cartoonist who created Bloom County (and later Outland).Bloom County was (and still is) my favorite comic strip. My college roommate and I subscribed to the local newspaper just so we could read Bloom County every morning before going to class. 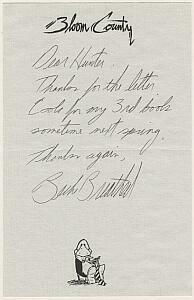 When I wrote to Mr. Breathed, I asked if a third collection of Bloom County strips would be published. This is the reply I received (click on the image to view a larger version of the letter). A few days after that, another envelope from another legendary actor, Sir Laurence Olivier! 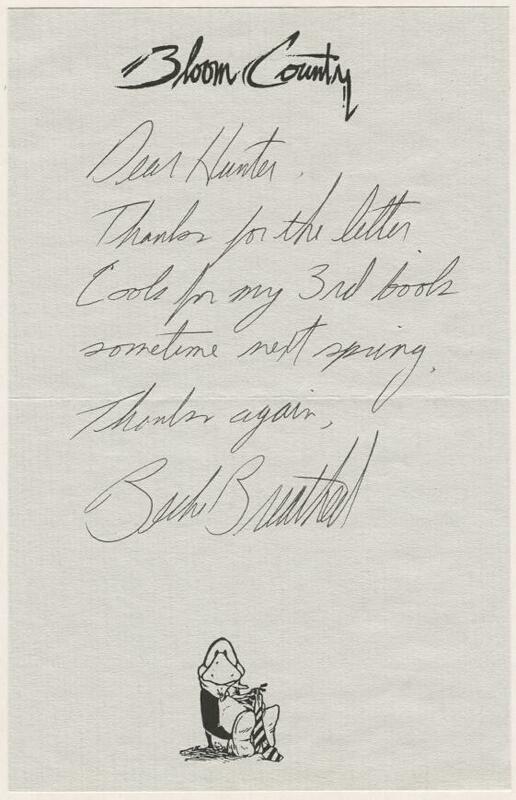 When I wrote to him, I told him how much I enjoyed his portrayal of Zeus in the film Clash of the Titans, which was relatively new at the time. 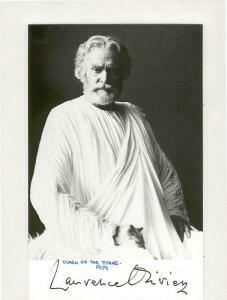 His secretary was really on the ball, since the photo I received was of Sir Olivier as Zeus! 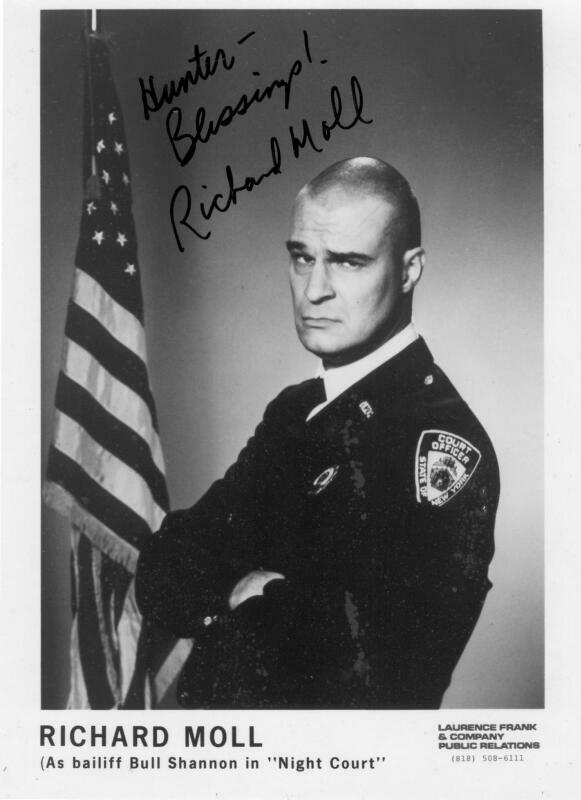 A short time later, I received my last reply, this one from actor Richard Moll, most famous for playing Bailiff Bull Shannon on the TV comedy series Night Court. However, I knew Mr. Moll best from his roles as various monsters in movies: Xusia in The Sword and the Sorcerer, the one-eyed mutant in the 3-D epic Metalstorm: The Destruction of Jared-Syn, and the abominable snowman in Caveman, with Ringo Starr. Mr. Moll even hand-addressed the envelope containing the photo. 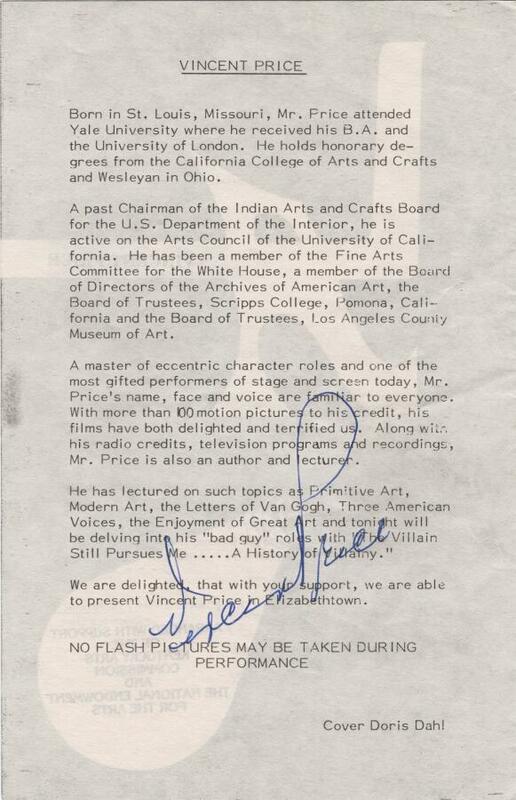 On September 25, 1980, Vincent Price came to my hometown to present his lecture, "The Villain Still Pursues Me". 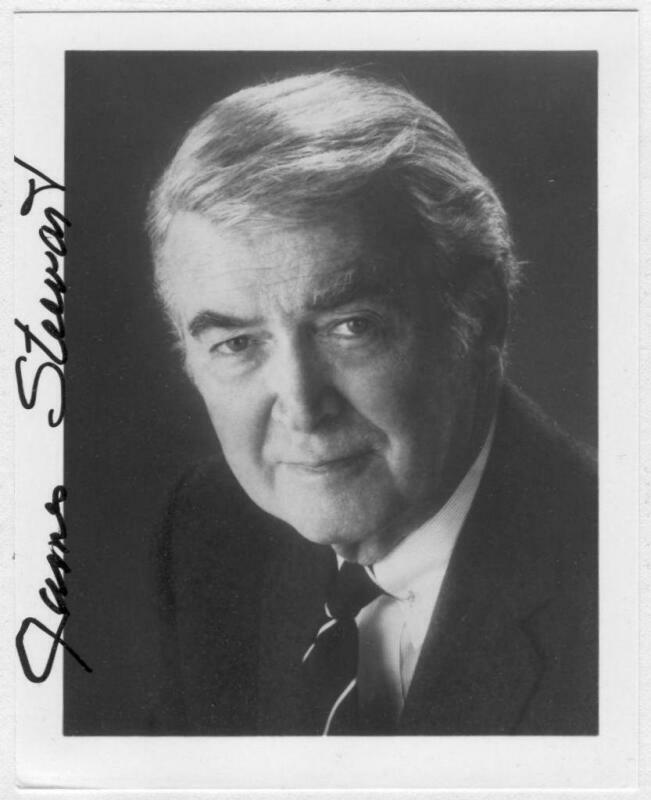 I was able to get his autograph that night. Photos, reviews, and more of the story can be found on my Vincent Price page in my concerts archive. In 1988, I attended DECUS, a computer symposium, in Cincinnati, OH. One of the companies at the trade show had former Cincinnati Reds' catcher Johnny Bench in their booth, signing autographs. 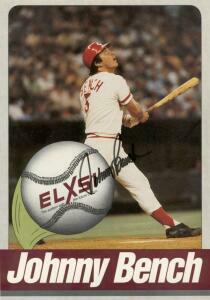 As a kid, the Reds were my favorite baseball team, and no other baseball player was as cool as Johnny Bench! Naturally, I stopped by the booth. On July 9, 1995, after being a KISS fan for almost 20 years, my wife and I attended the KISS Konvention in Nashville, a convention organized by KISS. After a day's worth of activities, including an unplugged session, KISS signed autographs. 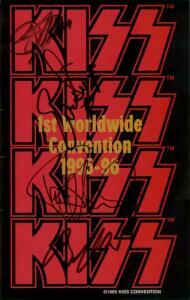 Here is one of the convention books we had signed (by Gene Simmons, Eric Singer, Paul Stanley, and Bruce Kulick). 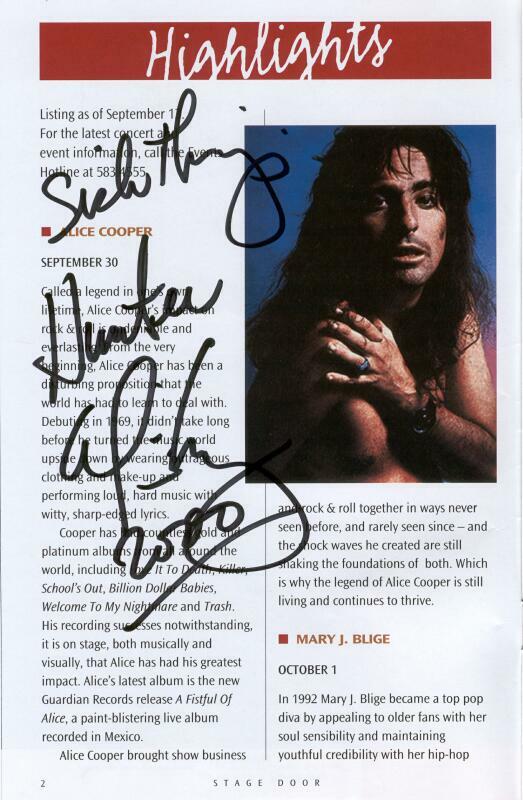 On September 30, 2000, I was able to go backstage to meet Alice Cooper after a performance in Louisville, KY. At that time, I had been running my SickThings mailing lists for almost 10 years, and briefly discussed the list with Alice. On my concerts page, you can find autographs from Buddy Rich, Vincent Price, and Boxcar Willie. I also have quite a few signed books from different authors, including Robert R. McCammon, George C. Chesbro, Stephen Hunter,Joe R. Lansdale, Kirk Douglas, and director Frank Darabont (The Green Mile). I may put some of those signatures up here in the future.